Craig is Associate Dean within the School of Arts and Humanities. Bachelor of Science (Honours), The University of Western Australia. Doctor of Philosophy, The University of Western Australia. Developing an emotional and cognitive alert system for Educators, CingleVue Pty Ltd, Scholarships to Support Industry Engagement PhD Project, 2019 - 2024, $64,740. Measuring and Mitigating Vigilance Decrement in Cyber Network Defence Tasks, Cyber Security Research Centre Ltd, Cyber Security Research Centre PhD Scholarship, 2019 - 2022, $225,000. Individual differences in skill acquisition: Why some people fail to develop automaticity., Edith Cowan University, ECU Collaboration Enhancement Scheme - 2016 Round 2, 2017 - 2018, $5,016. Cyber Electronic Warfare: The effects of team dynamics, cognitive load and team mental models., Defence Science and Technology Group of the Department of Defence, Competitive Evaluation Research Agreement (CERA) Program, 2017 - 2018, $153,407. Endeavour Executive Fellowship, Department of Education and Training, DoE - Endeavour Executive Fellowship, 2018, $9,500. 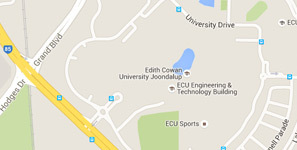 Researching automaticity using eye tracking equipment and software , Edith Cowan University, School of Arts and Humanities Research Grant Scheme 2016, 2016 - 2017, $13,872. Improving the numeracy skills of children, Collier Charitable Fund, Grant, 2015 - 2016, $29,973. The role of practice in the acquisition of arithmetic skills., Edith Cowan University, ECU Industry Collaboration Grant - 2014 (Round 1), 2013 - 2015, $98,917. The role of practice in the acquisition of arithmetic skills – an iPad trial., Association of Independent Schools of WA, AISWA - Grant, 2014 - 2015, $50,067. Blast the Germs, Association of Independent Schools of WA, AISWA - Grant, 2010 - 2013, $85,200. Building Financial Literacy and Retirement Savings Engagement by Developing a Financial Education Programme for the Workplace, Australian Research Council, Grant - Linkage (Projects), 2009 - 2013, $375,001. Western Australian Antenatal and Postnatal Screening Study: National Postnatal Depression Prevention and Early Intervention Program, beyondblue, Scholarship, 2006 - 2009, $45,000. The Retirement Savings Decisions of Australian Workers: A Long-Term Study of Public Sector and Industry Fund Members, Edith Cowan University, Grant - Near miss, 2003 - 2006, $351,056. National Postnatal Depression Prevention and Early Intervention Program., beyondblue, Grant, 2001 - 2005, $418,974. Campitelli, G., Speelman, C., (2014), Expertise and the Illusion of Expertise in Gambling. Problem Gambling: Cognition, Prevention and Treatment, 41-60, London, Palgrave Macmillan, DOI: 10.1057/9781137272423_2. Geraghty, S., Speelman, C., Bayes, S., (2018), Fighting a losing battle: Midwives experiences of workplace stress. Women and Birth, 31(5), 287-294, Australia, Elsevier, DOI: 10.1016/j.wombi.2018.07.012. Jayokody, D., Almeida, O., Speelman, C., Bennet, R., Moyle, T., Yiannoos, J., Friedland, P., (2018), Association between speech and high-frequency hearing loss and depression, anxiety and stress in older adults. Maturitas, 110(April 2018), 86-91, DOI: 10.1016/j.maturitas.2018.02.002. Speelman, C., Shadbolt, E., (2018), The role of awareness of repetition during the development of automaticity in a dot-counting task. PEERJ, 2018(1), article no.e4329, DOI: 10.7717/peerj.4329. Tan, B., Pooley, JA., Speelman, C., (2016), A Meta-Analytic Review of the Efficacy of Physical Exercise Interventions on Cognition in Individuals with Autism Spectrum Disorder and ADHD. Journal of Autism and Developmental Disorders, 46(9), 3126-3143, Springer, DOI: 10.1007/s10803-016-2854-x. Speelman, C., Forbes, J., Giesen, K., Parkinson, M., Johnson, L., (2016), The Stability of Old Skills during Transfer. Sage Open, 6(3), 1-13, Sage, DOI: 10.1177/2158244016658336. Croy, G., Gerrans, P., Speelman, C., (2015), A mediating role for anticipated regret in predicting retirement savings intention between groups with (without) past behaviour. Australian Journal of Psychology, 67(2), 87-96, West Sussex, UK, Wiley-Blackwell Publishing Ltd, DOI: 10.1111/ajpy.12070. Merema, M., Speelman, C., (2015), The Interdependence of Long- and Short- Term Components in Unmasked Repetition Priming: An Indication of Shared Resources. PLoS One, 10(12), 1-8, San Francisco, USA, Public Library of Science, DOI: 10.1371/journal.pone.0144747. Speelman, C., Muller-Townsend, K., (2015), Attaining automaticity in the visual numerosity task is not automatic. Frontiers in Psychology, 6(2015), Article no. 1744, Lausanne, Switzerland, Frontiers Research Foundation, DOI: 10.3389/fpsyg.2015.01744. Gerrans, P., Speelman, C., Campitelli, G., (2014), The Relationship Between Personal Financial Wellness and Financial Wellbeing: A Structural Equation Modelling Approach. Journal of Family and Economic Issues, 35(2), 145-160, United States, Springer, DOI: 10.1007/s10834-013-9358-z. Speelman, C., (2014), The acquisition of expertise in the classroom: Are current models of education appropriate?. Frontiers in Psychology, 5(JUN, 2014), Article no. 580, Frontiers Research Foundation, DOI: 10.3389/fpsyg.2014.00580. Hay, A., Speelman, C., (2014), Stability and accuracy of long-term memory for musical pitch. GSTF Journal of Psychology, 1(1), 38-44, GSTF, DOI: 10.5176/0000-0002_1.1.6. Doctor of Philosophy, DUET FOR LIFE: IS ALEXITHYMIA A KEY NOTE IN COUPLES' EMPATHY, EMOTIONAL CONNECTION, RELATIONSHIP DISSATISFACTION, AND THEIR THERAPY OUTCOMES? Doctor of Philosophy, PSYCHOLOGICAL DETERMINANTS OF RETIRMENT SAVINGS BEHAVIOUR: AN APPLICATION OF THE THEORY OF PLANNED BEHAVIOUR. Doctor of Philosophy, PERCEPTIONS ABOUT GOAL SETTING, ACADEMIC BEHAVIOURS, ACADEMIC PERFORMANCE, AND PSYCHOLOGICAL DISTRESS OF UNIVERSITY-BOUIND SECONDARY STUDENTS. Doctor of Philosophy, COGNITIVE REACTIVITY: EVIDENCE OF A REGULATORY MECHANISM THAT COMPENSATES FOR DYSPHORIC MOOD AND MEDIATES DEPRESSION VULNERABILITY.